Lady Proxima is mentioned in the first titles (which effectively take the place of an opening crawl), and has one standout scene early on, in which she is confronted by Han Solo. The giant, long creature – who resides in water in a dark room, due to her extreme vulnerability to sunlight – is feared by those on Corellia, including Han himself. 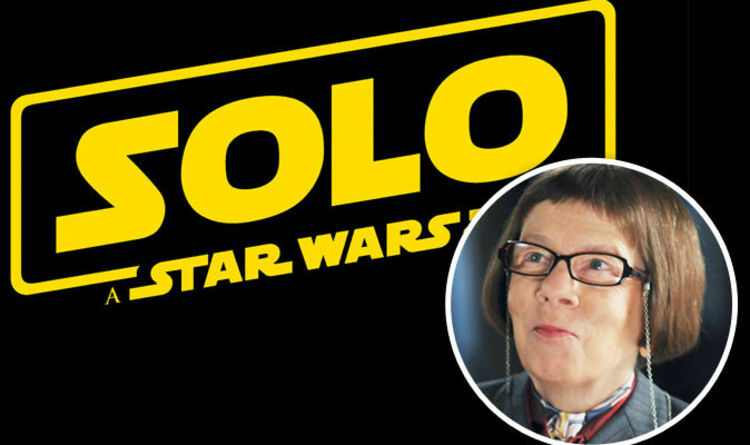 The voice for Lady Proxima comes courtesy of Linda Hunt, she who won the Academy Award for Best Supporting Actress thanks to her work in The Year of Living Dangerously in 1982. She also provided the voice for Grandmother Willow in Pocahontas and its sequel Journey To A New World, and was in Kindergarten Cop, Stranger Than Fiction and Dragonfly. Since 2009 she’s been Hetty Lange in NCIS: Los Angeles, and her other small-screen appearances have included Without A Trace, The Unit, The Practice, The American Experience and Scorpion. What’s more, she’s narrated the God of War video games and clicked up a string of Broadway credits. The 73-year-old is also often rumoured – but never confirmed – to be the inspiration behind The Incredibles favourite Edna Mode. It’s often been suggested that Edna’s look was based on Hunt’s character, the fashion editor Regina Krumm, in the 1994 film Prêt-à-Porter. Hunt is one of several big names making a LucasFilm debut in Solo: A Star Wars Story, which is out in the UK tomorrow. The film welcomes Alden Ehrenreich as the young Han Solo, with Donald Glover as the young Lando Calrissian and Emilia Clarke as newcomer Qi’Ra. Thandie Newton, Woody Harrelson, Phoebe Waller-Bridge and Paul Bettany are also aboard. The film is directed by Ron Howard, taking over from Phil Lord and Christopher Miller. Laurence and Jonathan Kasdan wrote the screenplay. Solo: A Star Wars Story is out tomorrow in the UK.